Wonderful 2 Year Old Modern 908 Sq.Ft. 2 Bedroom 2 Bath Condo In The Heart Of Wexford/Maryvale Community. Laminate Floors Thru Out, Floor To Ceiling Windows/Vertical Blinds In All Rooms, Walkout From Master Bedroom And Living Room To Large South Facing Open Balcony, Ensuite Laundry, One Parking Spot And One Locker Included. Ttc At Door, One Bus To Warden Subway, Close To 401 And Dvp. 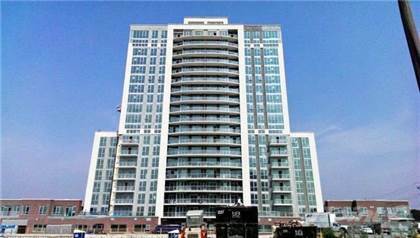 24 Hr.Concierge, Great Amenities, Accessibility Unit.\rExtras:Frigidaire S/S Fridge, Stove, Microwave, Dishwasher, White Stacked Washer And Dryer, Security Alarm System, All Window Blinds, Light Fixtures, Walking Distance To Shopping, Restaurants. Accessibility Unit. Hi, I'd like to find out more information about 1328 Birchmount Rd Toronto Ontario M1R3A7. Thanks so much!